We have built a diverse portfolio of projects over the years across a range of markets — including water and wastewater processing, broadcasting, surface mining and natural gas. We’d like to show you just a few to help us display our attitude that we can design a viable, sustainable solution for monitoring and controlling that fits all types and sizes of systems across multiple sectors. We can design yours, too, helping you provide seamless service to your customers. Want a copy of one of the projects below? Visit our Document downloads page. This project was a renovation to remove outdated devices and replace them with Hawk SCADA products. The City of Olive Branch, MS, had a PLC that was nearing its end of life in one of their water processing plants. 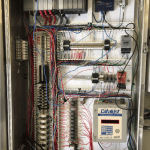 A few years earlier, we had installed a Hawk SCADA system to monitor and control their citywide water system, but this particular PLC was not in the scope of that installation. To complicate the situation, there was also no documented way to change the start and stop points for the plant’s clear well, and it was not operating smoothly with their current system, nor was it accurately monitoring all the assets the plant must control. They needed both devices to integrate into their current Hawk SCADA system. We first met with the operator to get a clear understanding of the problem and how they were currently processing water from that plant. He told us how the water was being processed, including how many wells were included, how the chemicals were being added and what happened when a well became low. During that meeting, we discussed the changes we felt were necessary to tie their citywide water processing system together seamlessly. After returning to our offices in Starkville, we devised and delivered a detailed plan. A few days later, we were rolling the truck back to Olive Branch to begin the work. 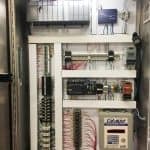 With input from our team of engineers, we constructed a strategy that included adding additional inputs and replacing the old PLC with one like all the others in their current system. 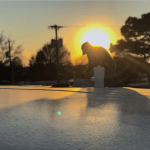 Because the city had other facilities on their system to support the demand, we were able to shut down this one plant for the three days it took to complete the work. First, the new PLC was installed, expanding the previous PLC capabilities to monitor the health of all the wells and pumps the plant was responsible for controlling. This included: 3 wells, 2 low service pumps, 2 high service pumps, chemical feeds, a solenoid valve (used to guarantee the overhead tank would not overflow), a clear well, ground storage tank, elevated tank chlorine and pH levels, and even the power status of the building and backup generator. Next, we rewired all the input/outputs in the control panel, removing all the devices that were no longer necessary to simplify the configuration. By day 3, all the work was complete, so we moved on to the final stage of all our installations — onsite monitoring of the site for 24 hours to verify normal operations. The one plant which was formerly operating with an outdated PLC (which would soon no longer be supported) is now equipped with a new Hawk SCADA product and is operating seamlessly with the rest of the city’s water processing system. Happy with the outcome, before we left the city had an additional request. They wanted to install some sort of backup onsite so that the main operator could monitor all the assets in the groundwater processing system from one location. We suggested a graphic-rich, touch-panel HMI, which we installed a few days later, helping provide that extra level of assurance that the city’s water system is being constantly watched – like a Hawk. One of our longtime radio clients, Cumulus Broadcasting of Columbus, MS, needed help organizing and executing a complete studio move from one location to another. 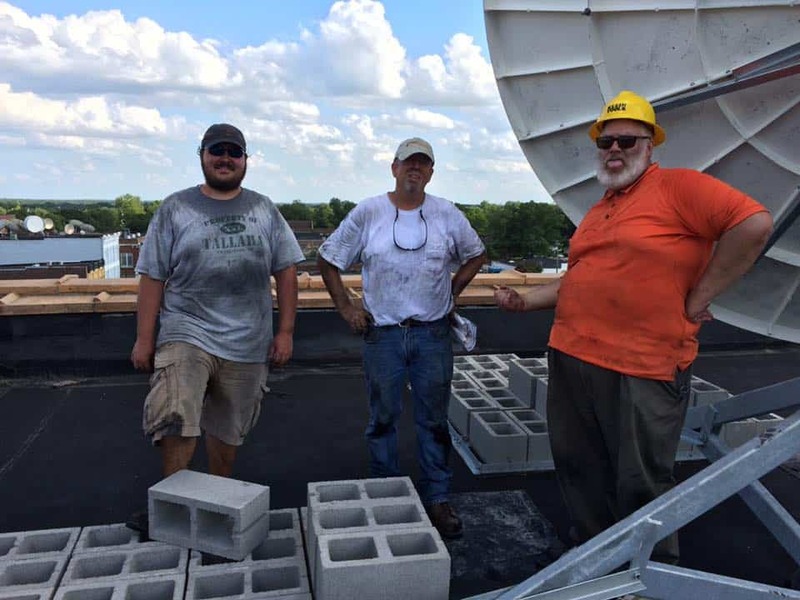 When Cumulus of Columbus, MS, was forced to move their entire studio operation from one downtown building to another — in an incredibly tight time budget — they called us to help. The IBS/Hawk SCADA team had built the existing studio for this radio group (under different ownership) some twenty years ago and it was now starting to show its age. However, the urgency of the move was due to the fact that their landlord wanted all tenants out of the building — in less than 30 days.Moving a five-station radio group would be no simple task. There were more factors to consider besides building out a brand new studio and moving all of their existing gear from the old location. 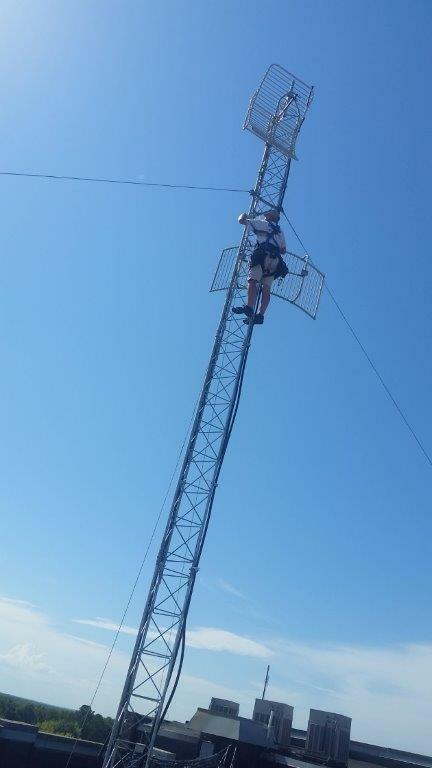 A new location would have to support the RF studio-transmitter links without the expense of erecting a large tower. In addition, there would have to be enough space and southern view of the sky to enable a satellite downlink. IBS worked extensively with Cumulus Broadcasting staff and engineers to find the right space. Fortune smiled on the project when we found the entire top floor of another downtown building was open for lease. We ran the numbers and found we could make our RF shots. 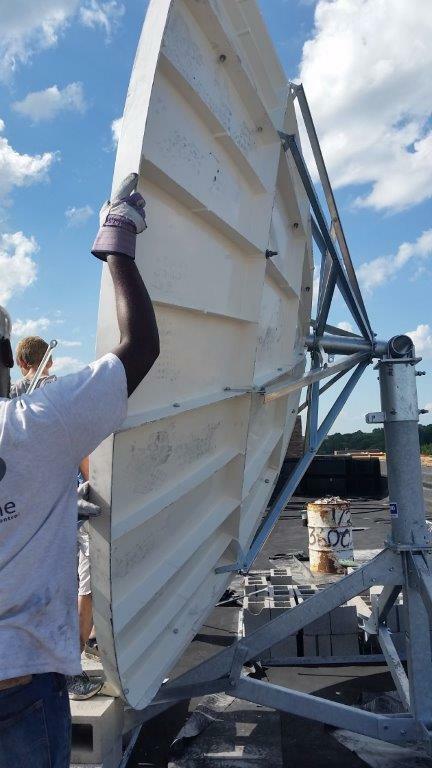 We worked with a structural engineering firm to ensure the roof would support our tower and satellite downlink dishes. Once we had our ok from structural we contracted a tower service to come install the tower and hang the dishes in preparation for the move. Cumulus regional engineer Robert Combs worked with us on laying out our new space, along with specifying all new gear. What new equipment could not be stored on site we had delivered to our warehouse for safe keeping. We oversaw the electrical, network cable installation, generator install, and permitting prior to primary construction. Teamwork was the word of the day. The timing was as tight as could be possibly be imagined. Luckily, we had regional support from Cumulus Broadcasting. As our deadline loomed Cumulus sent in a team of experienced engineers from a host of other markets to lend not only their hands and backs, but their valuable expertise, as well. 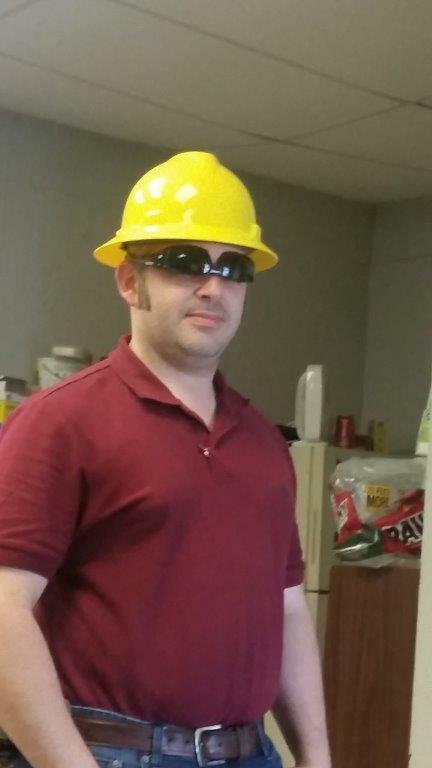 IBS tasked one engineer to work with team not only help, but to learn the new audio over IP scheme and new computer automation system Cumulus specified. Gone are the ways of running audio cables everywhere. The new studio would leverage the latest technology and use Axia consoles and nodes to move and route audio over ethernet. 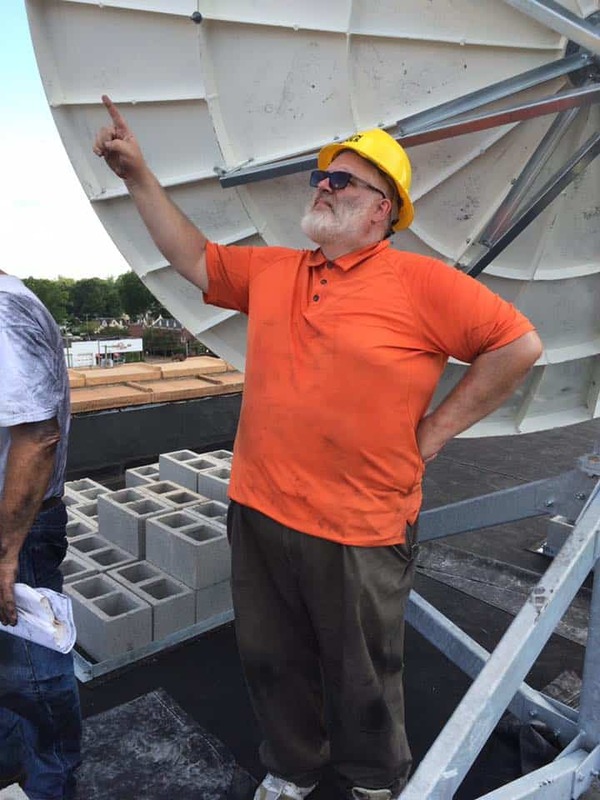 While we helped with the studio audio plant, IBS would be tasked to oversee the tower erection, run coax lines to the roof, and the installation, and alignment of the satellite downlink dish. 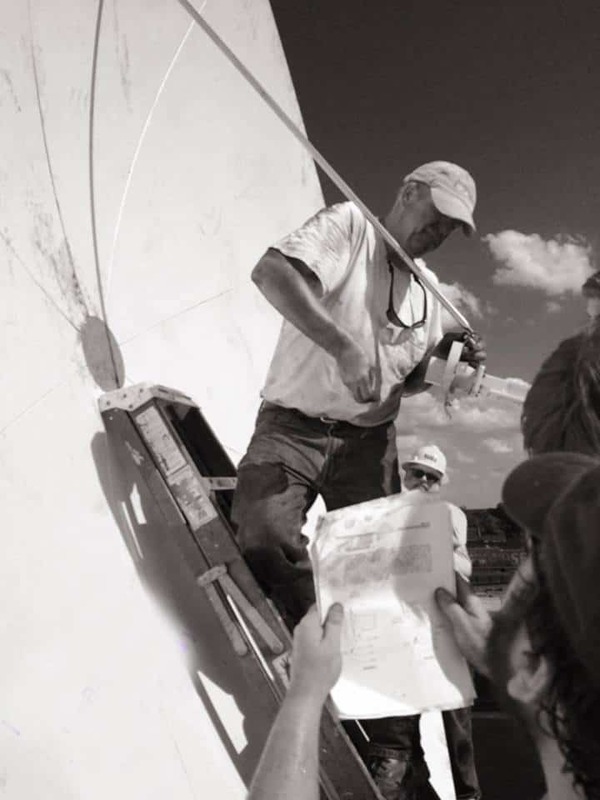 The downlink was a project in and of itself as the dish was 3.7-meter c-band fiberglass dish and it weighed over 1700 lbs. with its non-penetrating roof mount. Its installation required a crane that shut down a busy city street, and all hands on deck to load and unload the basket before and after the crane did the lifting. 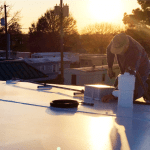 It took a solid work day from the entire IBS staff to get it all on the roof, erect the mount, set the ballast, assemble the dish, and mount the dish. 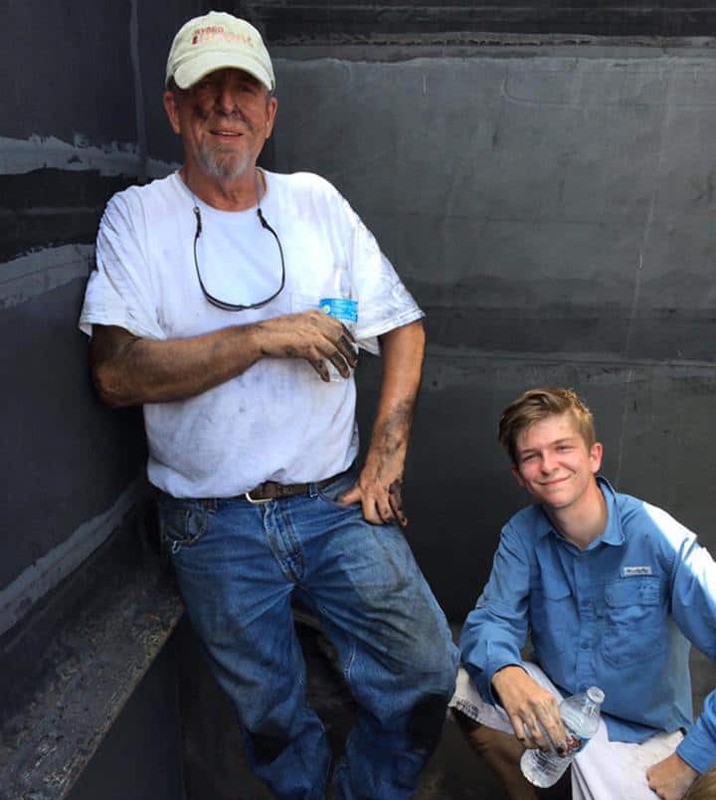 Even our intrepid office manager, the mouth of the south, John “Lady Fingers” Gholston was called into service. After hours of back-breaking work, it only took 10 minutes to align. After many man hours, a lot of late nights, and with help of the of the whole cast of tireless broadcast professionals, we met our deadline. Four FM stations and one AM station were broadcasting from the new facility on an entirely new state of the art audio chain with a brand-new automation system, and all with no more than a few minutes of downtime. Working with the clients, colleagues, and sub-contractors is just as important as being the lone ranger on a project. We went live with the new studio at the end of July 2016. Since then it we had very few problems, and most of those could be attributed to human error, and software bugs. The studio really turned out beautifully and is certainly a jewel amongst other small-town radio stations in Mississippi. The only design flaw we have come across came from success. We designed the studio to run with minimal staff. In the interim, they have only seen their business grow and demand for studio space and time has grown with it. Some of that is market trends and corporate strategy, but I would like to think that coming to work in a nice studio in a well-maintained building inspires a more productive attitude from bottom to top. It was a really cool experience to play a role on the team that brought that about. This project was a subcontract – a portion of a larger wastewater renovation project. The City of Brookhaven, MS, water department received allocation funds for renovations and improvements. They had a variety of older pump controllers; some had alarm lights while others did not. There was no way of knowing something was in alarm unless you were onsite to see it.So they decided to invest the funds in a remote monitoring and alarming system so that they could respond to problems quicker and smarter. They called Hawk SCADA. The first step in evaluating a water system with no current alarming or monitoring system in place is to ask the right questions so that we can recommend the right solution. In the case of Brookhaven, we began by asking the simple question of what the operators wanted to monitor — both in terms of location and task.After a few rounds of Q&A, it was clear what they wanted: they had 10 lift stations and wanted to put them all on an alarming system with basic alarm light monitoring. The RedHawk was a perfect solution to answer the needs at Brookhaven. With its cellular-enabled alarm, the Brookhaven team could be notified immediately through an automated call, text message or email (or all three), enabling them to respond quickly to any problems at their lift stations.Because installation of the RedHawk is so simple, the Hawk SCADA team was able to install and test all 10 units at the Brookhaven sites in less than one full day. 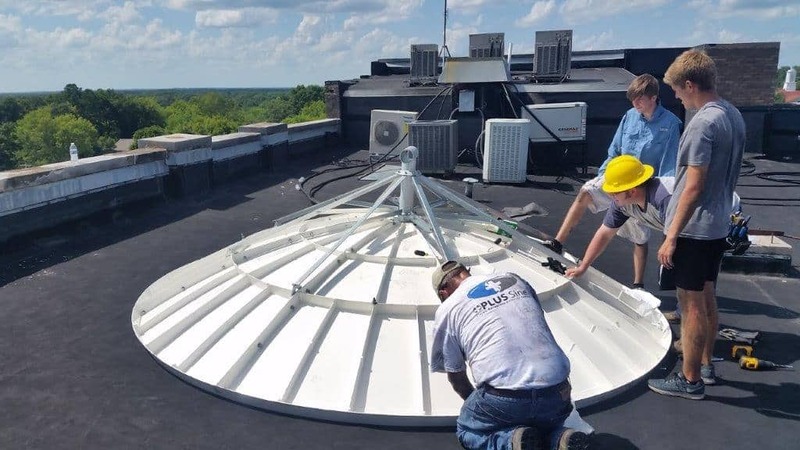 The City of Brookhaven team was very pleased with their new alarming system and the bonus of being able to monitor each site’s AC power status. In fact, it didn’t take long for the investment in their new to begin paying off.In only minutes, their new RedHawk alarming system began sending notifications from a few lift stations that there were problems. It became clear that the former alarm lights had not picked up on problems with pumps and float equipment. The team at Brookhaven was happy with their decision and continues to be pleased with their investment with their Hawk SCADA system.